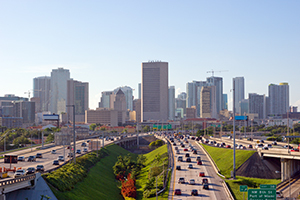 Any accident can turn catastrophic, but freeway accidents in Miami tend to be severe, if not deadly. The primary culprit in escalating accidents on the Miami expressways and those of the surrounding areas is a complex combination of the high speeds, heavy traffic, and large, confusing multiple lanes. Given the contrived junctions connecting many of our roads, it is no surprise how many residents find themselves victims to accidents every day. If you have been involved in a freeway accident, it is imperative that you make contact with an attorney right away. Our attorneys have been representing injured drivers and passengers in highway accident cases in Miami for decades and have the experience to help you fight to recover compensation that is rightfully yours. You can be certain that the insurance company and other involved parties will hire legal representation; do not be left out in the cold without legal help. Your accident may have been caused by a multitude of different reasons, all of which need to be explored and thoroughly understood. Negligence of a driver, road hazards, or unexpected road conditions could have factored into your accident. Our attorneys have the necessary skills and experience to bring your injury case to a successful resolution. We may hire investigators to assess the scene of the accident, investigate the other parties involved, and to help determine where culpability exists. Before you accept any offers from insurance companies or other drivers, speak with us; your compensation will practically always be greater with an attorney than what the insurance company will try to give you to make their problem go away. As devastating as your or your loved one’s accident might be, you need to contact a team of lawyers who can fight for the recovery that you deserve. Whether it is compensation for a temporary or permanent disability, loss of life, rehabilitation expenses, medical costs, lost wages, or any other significant damage to your body, our team is prepared to win for you. Often, we hear of clients that miss out on opportunities to claim an appropriate award of money for wrongs done to them for fear of the unknown. Let our attorneys represent you, as they represent hundreds of clients each year in their quest for fair compensation for injuries that have changed people’s lives. Do not allow yourself to miss an opportunity to fight for the compensation you should be given. Contact us today for a free and confidential consultation to discuss your claim and determine what the preferred route to recovery is for you and your family. With over 100 years of cumulative experience handling freeway accidents in Miami, our attorneys are ready to represent you in the pursuit of your claim and aggressively seek compensation for what has been taken from you as a result of the accident. 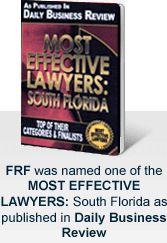 Call us today at 305-448-8585 to speak with a qualified attorney. We are not paid unless there is a successful outcome to your case.